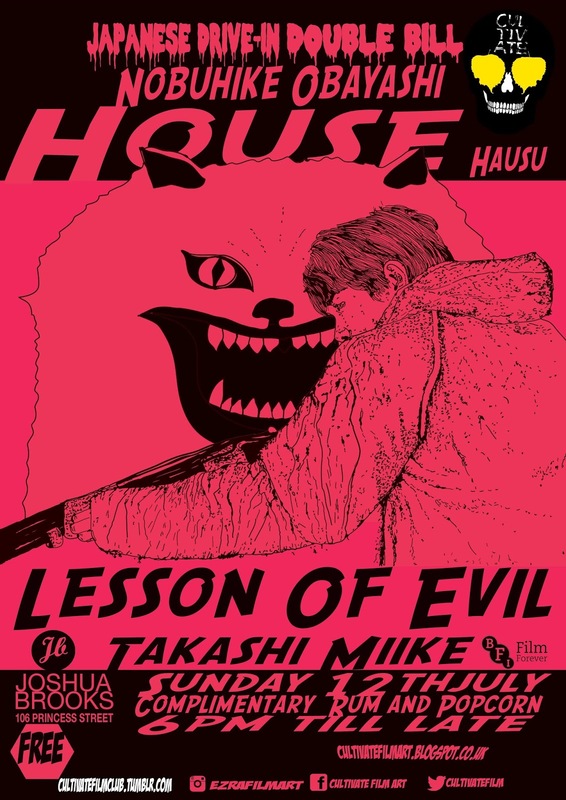 This week we take a trip to Japan with two classics, first up is an absolute roller-coaster ride of a movie with the brakes well and truly ripped off 'HOUSE' it is an inventive and satirical full-blooded twist on the horror genre broke records on its original release in 1977 and has since gone on to become a cult classic. 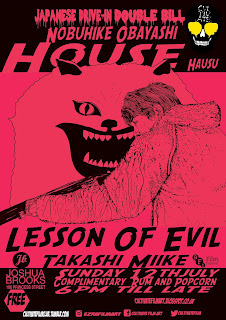 Followed by Takashi Miike's LESSON OF EVIL if you loved Battle Royale, Audition or Confessions then you will love this film, this is classic MIIKE so this Sunday come prepared brown paper bags will be handed out on entry. With the usual free popcorn and rum.